6 December 1967 Haus Victoria. Carl-Gustaf Svingel and Herbert Wehner with his stepdaughter Greta Burmester await for three hours at the German refugee negotiator, Wolfgang Vogel, lawyer. Instead, they get a telegram ”meeting for our call not approved”.Now it was serious. KGB and Stasi want to block prison purchases from the East unless they lose the spy champion Heinz Felfe from the West German prison. 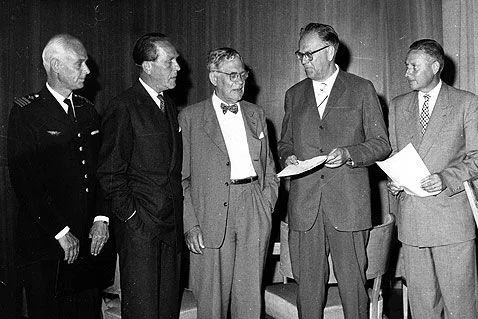 At the meeting on November 2 at Haus Victoria, Advocate Vogel has conveyed this ultimatum of Communist leader Walter Ulbricht and his Story chief Erich Mielke . In Karl-Marx-Stadt’s prison camp ( Chemnitz ), twenty-one spy-bodied West German awaits a promised release. Storpolitically high temp for those days , Soviet leader Leonid Brezjnev defends the invasion of Czechoslovakia in August. 1966 in the coalition government with Social Democrats and Christian Democrats. But now he felt powerless. Therefore he asks Svingel to call the party brother, Foreign Minister Willy Brandt. ”It’s certain when you call this late,” replies Rut Brandt, when Svingel rides just before midnight. Willy Brandt takes the handset and proposes a meeting in a week. ”No yesterday,” Svingel answers according to the conversation that Der Speigel later refers to . Wolfgang Vogel, Greta Burmester / Wehner and Herbert Wehner outside the summer resort at Öland. Embedded image. Click on there Spiegel. In the morning, Svingel is told by Greta Burmester that Brandt spokes a meeting at three o’clock. Participants are also the Secretary of State of the Interior Minister, CDU parliamentary Heinrich Köppler – who Svingel collaborated with for family reunions. Svingel describes the problem but it does not help. Federal Chancellor Kiesinger hesitates. It is the cold hand of Gerhard Wessel, new director of West German intelligence service BND; as stubborn as from his predecessor, Reinhard Gehlen . However, in competition with Colonel Stig Wennerström, arrested in 1963; The same summer as Felfe got fourteen years imprisonment for treason. Wennerström had microfilm rolls in the chipboard on the wind. Felfe was wearing microfilm with 15,000 secret documents when he was arrested in 1961. Felfe , with a forecourt as an SS officer, was acquired by the Russians after the war. He made a career in West German BundesNachrichtenDienst. As a director of the Russian Federation, he took over the owners of BND. KGB / GRU dismissed an established agent network in Moscow. A lot about the CIA and other secret Western organizations, perhaps also Swedish, were revealed. 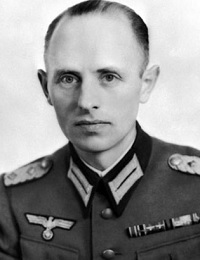 Former SS official Gehlen became Head of the BundesNachrichtenDienste was the spy legend Gehlen. 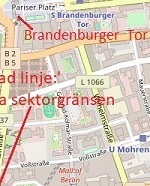 For visitors, he proudly used Heinz Felfe’s office where a large map revealed KGB’s East German office complex. Like so much else, it was a falsarium. Felfe had ruled a spy ring in the West German intelligence service and successfully fooled this with spotted spies in Moscow. He provided KGB and GRU with 15,000 secret documents and furthermore reports via radio. Not only West German BND was disarmed but also parts of the CIA. Together with the English and French intelligence services, Russians got a good picture of the situation in the West. On July 17, 1963, Dagens Nyheter has two heavy news. One is the Russian protest against the Swedish protest against the Russian involvement in the Wennerström store. The other that Felfe in 1961 was disclosed as Russian agent of the KGB Major Kimov. Anatoly Golitsyn, who was his real name, fled in 1961 from the Soviet embassy in Helsinki and traveled via Stockholm to the United States. There he was interrogated by CIA’s counter-spying chief James J Angleton . Finnish president Urho Kekkonen was appointed as governed by KBG. Angleton advised Säpochen OlleUitstedt that Olof Palme was the agent of the KGB / GRU. Rumors of Palm’s wish that Säpo should approach the KGB at the expense of CIA c strengthened the suspicions. A mutual mistrust arose between Social Democrats and Säpo, which would be until the Palm Mord 1986. Angleton in the United States was fired to be an overly conspiratory spy hunter. Russian archives were opened after the Soviet collapse and there is nothing indicating Palm’s unreliability. Stig Wennerström, Defense Minister Sven Andersson, Foreign Minister Östen Undén and Sverker Åström on the Ministry of Foreign Affairs. Säpo has a spell on Palme and even more on Sverker Åström, whom Palme employed as a cabinet secretary in 1972 – which hardly reduced Säpos’s interest in the prime minister. 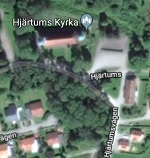 Prime Minister Erlander snuffed Åström on that post. On the Olof Palmes (?) And Rikspolischef Carl Persons mission, Frastedt visited Berlin to follow up on Carl Gustaf Svingel’s information about Raoul Wallenberg. Säpochefen om Palme as security risk: watch the video. Swede’s invitation to replace Stig Wennerström against a possible living Raoul Wallenberg was met by the cold hand of Prime Minister Tage Erlander. Better cut off to avoid risk of pressure from the eyes. The spy surrender did not reveal to Russia what he acknowledged and did not acknowledge. The same backing risked Svingel in the case of Felfe. As usual, he was extremely sorry for his involvement. Vogel did not want to stop the exchange for the sake of money. Svingel felt like the many political prisoners whom the DDR had averted. Both men lobbied against the Protestant and Catholic Churches to put pressure on the Chancellor. The Russians pushed to release Felfe in 1968. The Wolter Vogel attorney DDR participated in the summer of 1968 in several meetings with Herbert Wehner in Bonn and Carl-Gustaf Svingel in Haus Victoria. Had Vogel prevented Svingel to travel as a courier between west and east. Wolfgang Vogel placed the cards of the main men on the table when he met the All-German Affairs Minister Herbert Wehner at Svingel in Haus Victoria on the first week of November 1968. No felfe, no more free kicks of prisoners from the DDR. With the DDR threat of stopping prisons, Vogel Luther Church’s lawyer Reymar von Wedel worked, which Svingel passed on to Herbert Wehner. Foreign Minister Willy Brandt, Chancellor Kurt Georg Kiesinger, Minister for All-American Affairs Herbert Wehner. 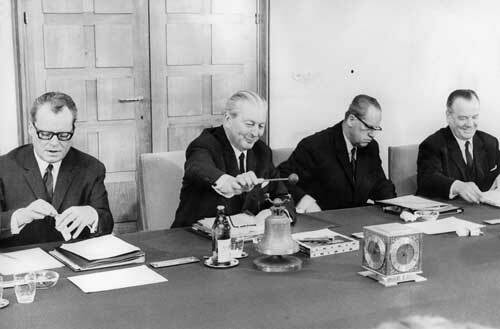 First meeting of the new government CDU / SPD 1966. Embedded image. Click to the source. To increase the tension of the great coalition of government, the Russians probably would not be foreign. Federal Chancellor Kiesinger for CDU listened to the intelligence service BND. Foreign Minister Brandt and All-German Affairs Minister Wehner, both Social Democrats, wanted to make contacts eastward. From the United States embassy, ​​Svingel noted that the Americans did not object to Felfe’s pardon. 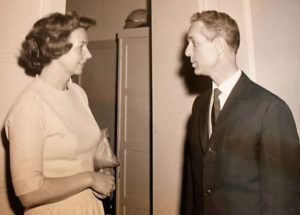 Just before Christmas 1968, Svingel received the promise from Russian ambassador Pjotr ​​Abassimow that more could be released from the DDR in exchange for Felfe. Svingel and Wehner listed 29 people, of which three Heidelberg students, who received long sentences for registering the signs for military vehicles for the CIA. Der Spiegel’s historical writing from a meeting in early 1969 may well be true: Federal Chancellor Kiesinger would have time to carefully study Herbert Wehner’s release documents. I have time, Mr Chancellor was the answer. Reading may take several hours, the chancellor warned. I have bread with you, enough for you, Wehner also answered. You are irreversibly replicated Kiesinger and asked federal president Heinrich Lubke to sign the pardon of Felfe. Wehner organized communists in Germany together with Walter Ulbricht in the 1930s – while Kiesenger was a member of the Nazi party, during the war with Hitler’s Foreign Minister Ribentrop. Nevertheless, the two gentlemen had a good relationship. 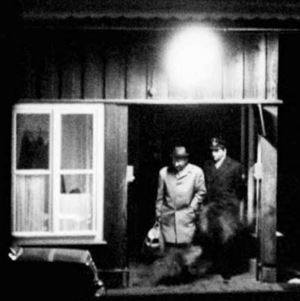 The German border station Herleshausen on the night of February 14, 1969. A diligent photographer documents Heinz Felfe as he leaves the barrack to sit in Wolfgang Vogel’s Mercedes. The Attorney’s Station Contact Heinz Volpert, who is often camouflaged as Vogel’s driver, welcomes Felfe with flowers. At the same time, the lawyer at Wehner’s department, Ludwig Rehlinger , accepted the three full-mountain students along with nineteen others released for buses to freedom. CG Swingel was not there. To appear but not to be seen was his motto.